Koganei is a manufacturer of pneumatic systems known globally for the highest safety and quality standards. They specialize in the manufacturing of pneumatic equipment, centralized lubricating systems, static electricity related products, fluid control equipment and related products. 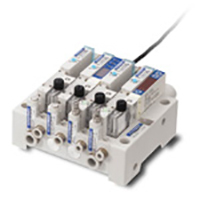 Internal pilot type solenoid valve that switches the step with supply pressure. 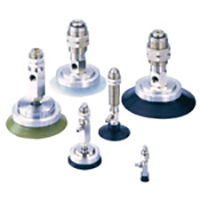 Generally used for a wide range of cylinder control. Select a manifold shape and wiring type in accordance with the application. 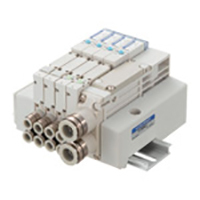 The stem is switched by the power of the solenoid, resulting in a direct operation type solenoid valve that can use operating pressures from 0 MPa. Perform for low-pressure control and air blowing. 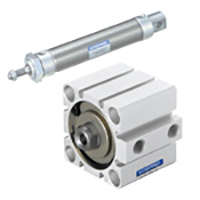 Single-rod and double rod type cylinders with high general applicability. 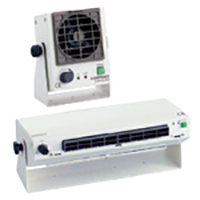 A wide-ranging series that allows selection to suit just about any installation space and mounting method. 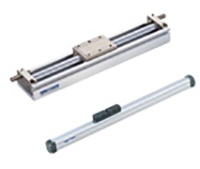 Cylinder with shaft guide and linear guide. Compact and highly rigid, and a greater degree of mechanical design freedom. 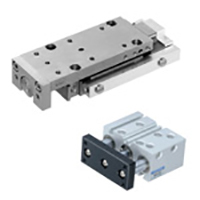 Pneumatic Positioners are perfect for transport processes. 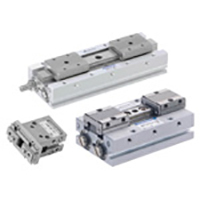 Slit type, Magnetic type and types with Linear guide to meet the needs of a variety of processes. Perfect for workpiece chucking and handling. Combination with cylinders allows easy robot arm design. 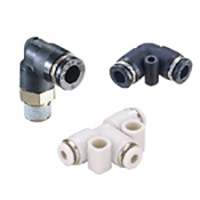 Various types of air drive type grippers and mechanical drive type grippers are available. 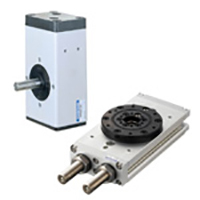 Rotary actuators that are perfect for workpiece rotation and inversion processes. Vane type, rack-and-pinion type, or integrated bearing can be selected to match specific designs. 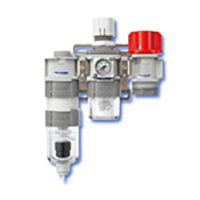 Air preparation individual and combination units, filter, regulator and lubricators. Vacuum generator (ejector) tha can generate negative pressure from compressed air. Quick fitting for simple tube attachment and detachment. Barbed connection tube fixing type fittings. Cylinder speed control valves and throttle valves. Pressure switches and displays. Vacuum pads are perfect for part transport systems. Outstanding reliability with no suction errors. Bellows type are perfect for slanted surfaces or when there are level differences in the workpiece. 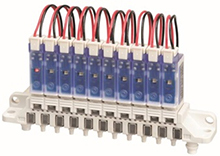 Wide range of ionizers for charge removal applications. Clayton Controls is a Koganei distributor in California. We offer technical support to help our customers solve their applications.